We currently have a nationwide crisis going on in the mental health field. With the opioid epidemic growing, there just aren’t enough counseling and addiction services to go around. In many areas of the country, there are shortages of mental health professionals and services for patients who need help. Patients who suffer from a wide range of addiction issues cannot get the help and support they need. How do we help address this crucial issue in our healthcare system? While the problem is an incredibly complex one, one potential piece of the puzzle could be to start more widely applying telemedicine to the addiction treatment field. Telehealth has the potential to increase patients’ access to support services at the times they need it the most, and without the potential barriers of having to travel to see a healthcare provider or counselor. In a care field where frequent check-ins and a strong patient-provider relationship could save a life, telehealth has a huge potential to make a difference. So, where do we start? How do healthcare providers start to apply telehealth to addiction treatment and recovery services? It’s important to think of telehealth as a tool, not a completely new way of practicing medicine. Chances are you have established a relationship with your patients face-to-face, and are using telemedicine to maintain that relationship. In that spirit, see telemedicine as a natural companion to the care model you’ve been using successfully. Telemedicine can be good for interventional communications as well as progress updates, especially via mobile devices. 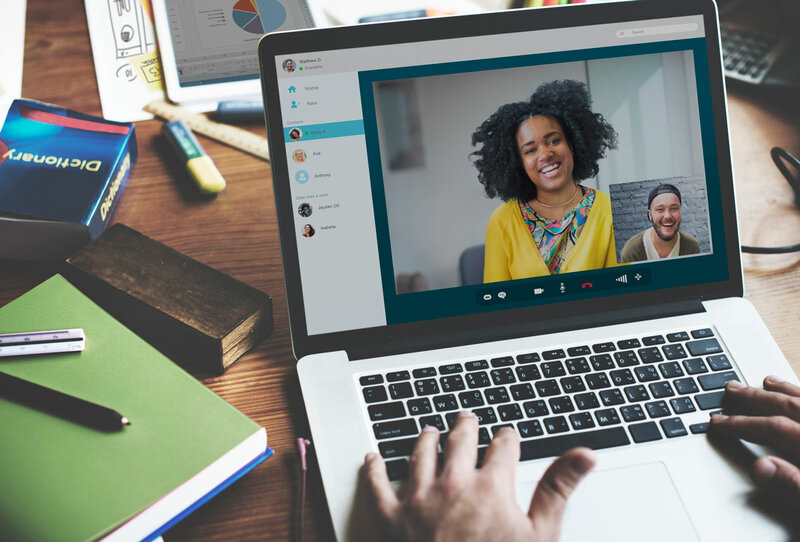 Many digital health programs based around addiction also have a behavioral health component that can act as remote therapy for patients and heighten the impact of in-office therapy. For patients, telemedicine emphasizes the feeling that their health is in their hands–with the advent of cell phones, sometimes literally! Emphasize this autonomy when you use telemedicine. Helping patients make solid health choices is the goal of any physician, so let that mentality guide your virtual treatments. Ask patients direct questions about what they feel is effective in their health plan, or what they wish they could change. By using telemedicine, you’re talking to patients in their own environments, and that makes it easier for them to take charge and show initiative in their health decisions. Encourage patients to reach out to you via telemedicine when needed–that’s in their control, too. Another benefit of telemedicine is your ability to chart behaviors and symptoms at any given time. Patients can update you easily and quickly with their condition, so take advantage of it. When you use telemedicine for regular check-ins, you’re more likely to get a comprehensive reading of your patient’s daily life. It’s also easier to act on problems quickly when you’ve tracked them correctly, so you have a better chance of addressing potential difficulties before they start. This is also a good way to see the impact of health plan changes or even to understand when to scale back treatment. One of the biggest challenges for any physician is treating multiple health issues at once. For addiction treatment, that challenge is compounded. Many addictions rise up in the wake of other health issues, such as chronic pain. Luckily, telemedicine is an extremely effective tool for chronic care of any kind. It’s a great way to maintain quality of care, or to stop acute conditions from having a deeper impact on chronic patients’ lives. Telemedicine can give you greater insight into the way a patient’s illnesses play against one another. Getting a good grasp on comorbidity is difficult, but worth it in the long-term–and thanks to technology, multi-condition tracking may soon be automated. Along with recording patients’ conditions, you can use telemedicine to create healthy behavior patterns. By combining tracking and action, you strengthen continuity of care and show patients the way treatment truly helps solve problems. Consider recommending basic behavior-based apps and programs, like fitness and brain-training games. Or, choose a program built specifically around mental health, like Ginger.io, and show patients how to take action in their lifestyle changes. When you base new, healthful habits around communication and connectivity, you’re showing patients the benefit of consistent communication. In other words, you’re displaying the benefits of telemedicine in real time and encouraging patients to keep communication up! If you’ve used telemedicine to treat addiction, we’d like to hear about your successes, strategies and workflow tips.